Kara Court was recently shortlisted for Facility Catering Service of the Year in the National Oscars Hospitality awards. Our submission displayed changes to meal service and socialisation for the residents at Kara Court. Highlighted was the bain-marie style of meal service promoting resident choice, changing from plastic drink ware to glass including wine glasses, weekly lunch time visitors to the facility (staff from all sections of the main hospital building) and breakfast service timeframe extended to promote resident sleep ins. 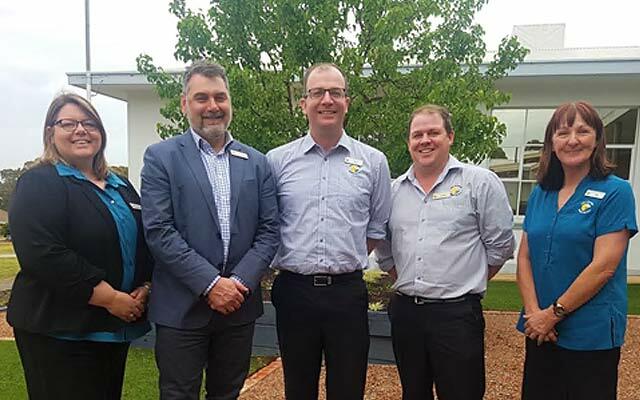 Our representatives Sheryl Williams - Acting St Arnaud Campus Manager and Sharyn Haynes - Associate Nurse Unit Manager at Kara Court, attended the award ceremony on Monday 10th of September. Kara Court was awarded a certificate as a National Finalist, which is a fantastic achievement and is a credit to all who provided excellent care to our residents in Kara Court.